Making zucchini bread is a classic way to use up your bumper crop of zucchini (and to convince yourself that cake is healthy). 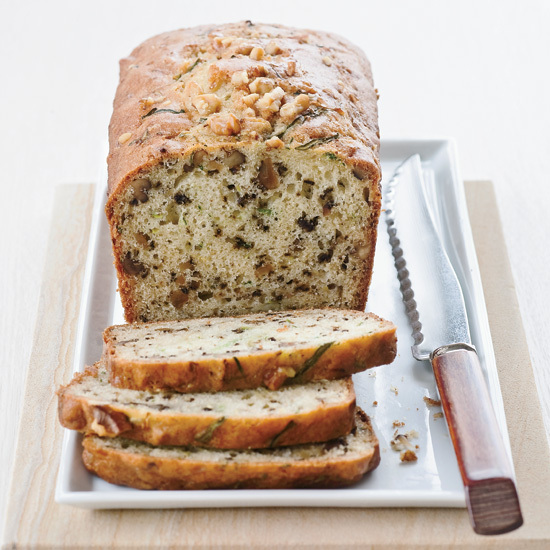 Here are six steps to create your own signature zucchini bread. 1. Get a good basic recipe. No need to start completely from scratch. Use this recipe as your framework and go from there. 2. Choose your pan. A loaf pan is classic (it’s bread-shaped, duh) but you can also bake the batter in greased or paper-lined muffin tins. Just raise the temperature of the oven to 425° and bake for 12 to 15 minutes. 3. Vary the flour. For a heartier (okay, and slightly healthier) bread, substitute whole-wheat flour for half of the all-purpose flour. Or swap out half a cup of the flour for cornmeal, almond meal or semolina. 4. Play with the spices. Cinnamon is classic but a little ho-hum. For a Scandinavian-inspired bread, try substituting half a teaspoon of the cinnamon for cardamom. Or mix cardamom, cinnamon and ginger with a little black pepper for a chai-inspired bread. If you like an intriguing anise flavor, use Chinese five-spice powder. Start with a teaspoon of spices total and increase from there if you want the flavor to be more prominent. 5. Go crazy with add-ins. Hate walnuts? You can also try pecans, pistachios, raisins, chocolate chips, coconut, chopped dried apricots or figs, dried coconut or some combination thereof. To start, keep the add-ins to a cup or less. 6. Serve it up. For breakfast or an afternoon snack, spread slices with everything from butter to cream cheese to mascarpone. If your bread is doubling as dessert, drizzle it with a lemony glaze or slather it with cream cheese frosting.